Saturday, December 1 (continued): Tyson Fury entered the ring at the Staples Center in Los Angeles as the lineal heavyweight champion. By the time he left it, he picked up another title in many eyes – the uncrowned heavyweight champion. The split draw that allowed Wilder to keep his WBC title – and for both men to retain their zeroes in the loss column – was greeted with shock and derision, for many felt Fury’s sustained ring generalship, better defense and sharper punching was enough to negate the thunderous knockdowns he suffered in rounds nine and 12. But while the audience was denied the fairy tale coronation that would have climaxed the Tyson Fury comeback story, they were given a sporting spectacle that exceeded all expectations: An undefeated challenger who overcame crippling mental and physical adversities to produce his best performance in years and an undefeated titleholder who struggled to solve the stylistic puzzle before him before breaking through with sudden single-shot fireworks – not just once but twice. Then just when it appeared Wilder had completed one of history’s greatest come-from-behind last-round knockouts – and it certainly looked like he had done just that, based on how Fury looked on the canvas – the Briton dug deep into his sporting pride, lifted his 256 ½-pound frame off the floor and managed to finish the fight with his own flourish. Both men showed the championship mettle some thought they didn’t have and the result was magnetic and memorable combat that produced roars of surprise, wonderment and fulfillment – at least until the decision was read. While the final result was unsatisfactory, it provides the justification for an immediate rematch that will be even more anticipated than its opening act had been – and what an opening act it was. The final round surely will be a finalist for “Round of the Year” simply for its head-snapping swings of momentum. 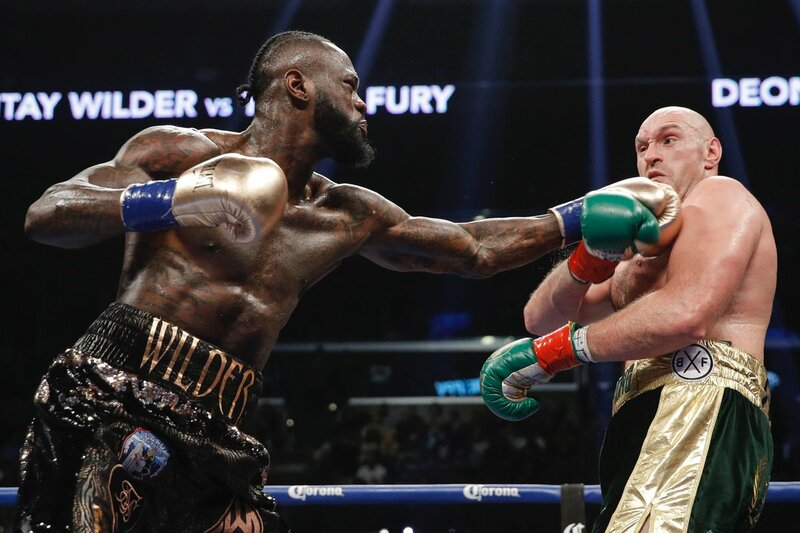 With Fury just 180 seconds away from achieving a historic return to the championship throne, with Wilder the same distance from his first defeat since the 2008 Olympic semifinal against Italy’s Clemente Russo and the Staples Center audience stoked for a thrilling final chapter, the stage was set for the theatrics only a great heavyweight title fight can produce. 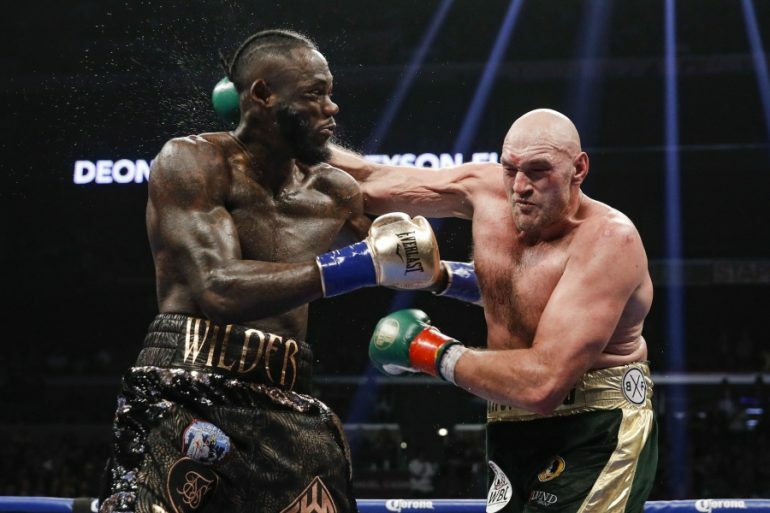 Between rounds 11 and 12, the writer in me had already crafted the lead sentence of what I thought was a sure victory for Fury: “‘The Gypsy King’ has once again become a heavyweight king.” However when Wilder’s pulverizing right-left drove the giant Englishman to the floor and when I saw the aftereffects on Fury’s face, I thought I had recorded the final punches of the contest. “HE’S OUT! 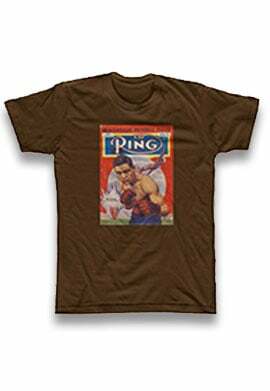 HE’S OUT!” I shouted to CompuBox compatriot Dennis Allen, who was shouting the same thing to me. We had to shout, not only because we were amazed by what just happened but because the 17,698 spectators inside the arena were creating a sonic earthquake. For a moment, my mind started to rewrite the lead as well as draw upon equivalents from the past: Jake LaMotta’s last-round knockout of Laurent Dauthuille, Julio Cesar Chavez’s improbable last-second TKO of Meldrick Taylor in their first fight and, because these were heavyweights, Mike Weaver’s life-changing left hook KO of Big John Tate in the 15th and final round. That process was interrupted by a sight I thought would never happen based on Fury’s state just seconds earlier – Fury snapping out of his stupor and endeavoring to regain his feet. At the moment he began to stir, Dennis and I shouted in unison, “HOW IS HE GETTING UP?” Wilder, who had already mounted the ropes in celebration, must have been thinking the same thing. Dennis and I have seen many things in our decades of experience in the sport and many of those things could cause one to forget why he fell in love with boxing. 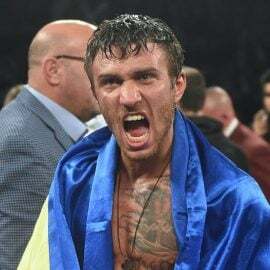 The sight of Fury pushing himself up from the depths of semi-consciousness was an act so thrilling and so inspirational that it should be a neon-bright advertisement for the power of the human spirit, as well as for the virtues of boxing. Not only did boxing give Wilder and Fury a purpose in life and to make a wonderful living for themselves and their families, it also gave them the stage to show off their competitive cores and, in so doing, the opportunity to produce unmatched human drama. 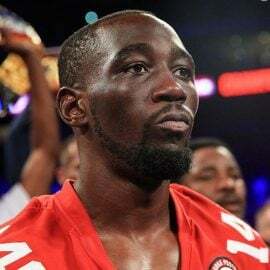 While brimming with excitement over the spectacle I had just witnessed, I remained mindful that I still had a fight to finish counting, especially now that Wilder was poised to unleash what he hoped was his title-saving final assault. The instant referee Jack Reiss called the men back to action, the focus that marked the previous 46 minutes snapped back into place. Not only did Fury survive Wilder’s next wave, he mustered the bravado to mock the champion by putting his gloves behind his back (something he did several times earlier), then conjured a compelling counterattack that convinced everyone he was all the way back. It was a microcosm of Fury’s life outside the ring – rising from the ashes, finding the fire within himself to continue his quest and finishing the task with Tyson-esque flair. Referee Jack Reiss deserves praise for his performance during the second Fury knockdown. Most referees would have instantly stopped the fight upon seeing Fury’s condition and, given that former WBC light heavyweight titlist Adonis Stevenson was in physical peril following his 11th round TKO loss to Oleksandr Gvozdyk earlier that evening (something Reiss may or may not have known about, at the time), that move might have been understandable. 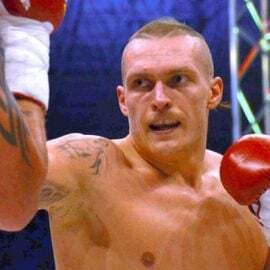 But Reiss allowed Fury the opportunity to gather himself and complete what will now be regarded as his signature moment, not just in his boxing life but in his life in general. 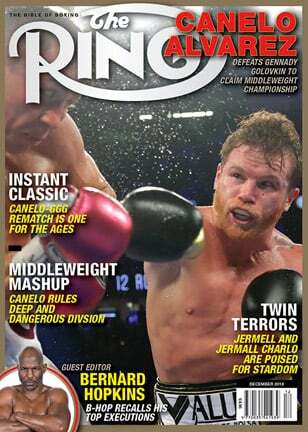 When Dennis and I heard the words “split draw” through our headsets – which happened a couple of minutes before ring announcer Jimmy Lennon Jr. revealed it to the rest of the world – we couldn’t believe our ears. Our wonderment was magnified once we heard the scoring breakdown: 115-111 Wilder by Mexico’s Alejandro Rochin, 114-112 Fury by Canadian Robert Tapper and the deciding vote of 113-113 by England’s Phil Edwards. Tapper’s score was originally announced 114-110 but analyst Steve Farhood, while examining the scorecards, spotted the error and relayed it to Lennon as well as the ringside press. Because the mathematical alteration didn’t change the final result, there was no need to announce it to the crowd. While writing the final recap that would accompany the stats I would send out to the media, I realized that while the draw verdict was debatable, it could be explained. Yes, Fury out-landed Wilder 84-71 overall, 46-40 jabs and 38-31 power and was the more accurate hitter in all phases (26%-17% overall, 21%-16% jabs, 37%-17% power) but Wilder was more active as he averaged 35.8 punches per round to Fury’s 27.3 and he had those two knockdown rounds. A closer look at the round-by-round breakdowns offer clues as to why the scores were so divergent. 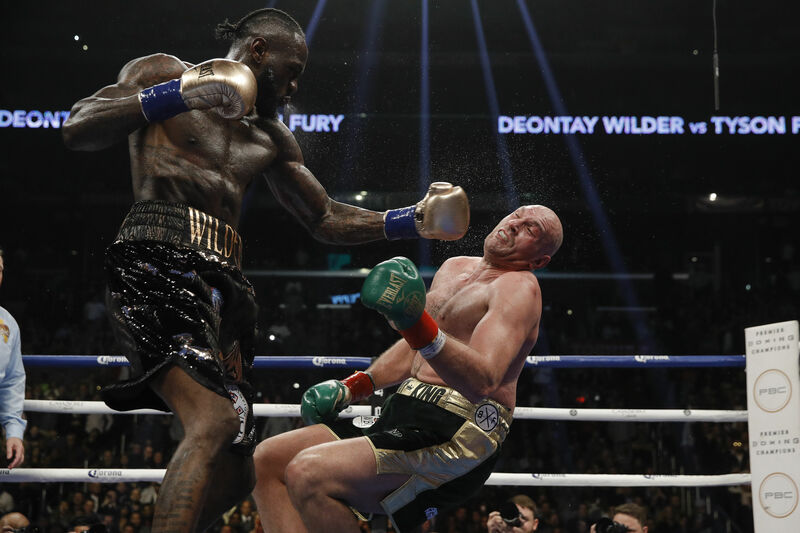 While Fury prevailed 9-3 in terms of total connects and landed power punches and while he led 6-2-4 in terms of landed jabs, Fury prevailed by two or fewer connects in seven of his nine rounds while Wilder led by six connects in two of his rounds – which also happened to be his knockdown rounds. Because of the extremely narrow margins in terms of connects in Fury’s rounds, those rounds were left open to interpretation – hence, the wild differences. Could it be that Rochin (and, to a lesser degree, Edwards) was more persuaded by Wilder’s aggression and harder punches during those swing rounds? Their scorecards certainly indicate that. As for Tapper, he must have seen what I and many others saw – Fury’s superior strategic command for long stretches, better defense and more landed punches, albeit by narrow margins most of the time. The post-fight outrage was centered on Rochin, a 27-year veteran who was judging his 53rd championship fight. 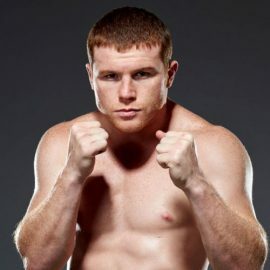 While many of his past scorecards were in line with conventional wisdom as well as with his fellow judges, it is noteworthy that he scored Danny Garcia a 116-112 winner over Mauricio Herrera in March 2014, Sergio Martinez a 115-112 victor over Martin Murray in April 2013 and Andre Dirrell a 114-113 winner over Carl Froch in October 2009. Will he be driven from the sport as C.J. Ross was following her 114-114 scorecard in the Floyd Mayweather-Saul Alvarez fight? 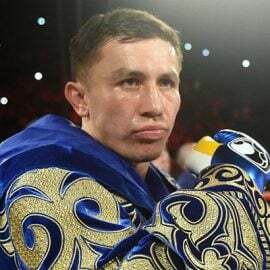 Will he be placed under severe scrutiny as Adalaide Byrd was (and remains) following her 118-110 scoring for the first Gennady Golovkin-Saul Alvarez fight? Time will tell but his 115-111 score for Wilder was diametrically opposed to the 115-111 fight I saw for Fury. Still, thanks to the explanation I posited in earlier paragraphs, I don’t think Wilder-Fury should be considered a “robbery.” To me, it was a fight that produced a disagreeable result worthy of debate – and of a rematch. Of course, there was a rematch clause in the contract in the event Wilder lost but because he didn’t lose, he is, in theory, free to pursue other options. 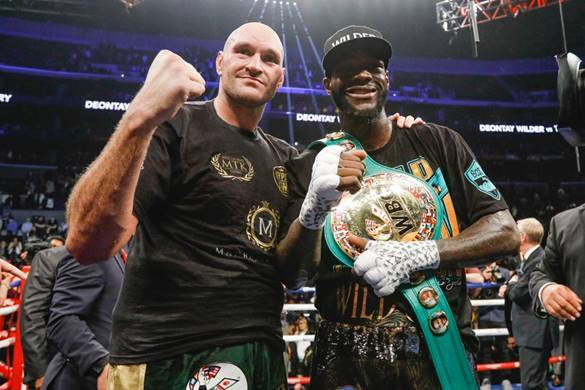 But given the excitement the first fight produced and because Wilder is a prideful champion, he expressed a willingness to grant the immediate rematch. While many will await Wilder-Fury II with great anticipation, the negative consequence of Wilder-Fury I is that fans may have to wait until 2020 to have its first undisputed heavyweight champion of the four-belt era. Since many believe Fury won the first fight, a close win by Wilder in the rematch – especially if the action lives up to the original – may well result in a third and presumably final meeting. 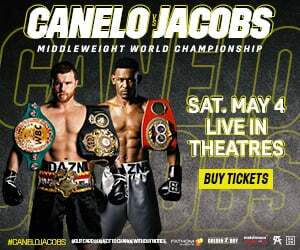 Meanwhile, IBF/WBA/WBO king Anthony Joshua will be kept busy fulfilling his various mandatory obligations and given that star fighters enter the ring only two or three times every year, those obligations may require the entirety of 2019 to complete. But is this scenario really such a bad thing? The post-Klitschko era has produced a number of compelling contenders who also happen to be characters: Dillian Whyte, Jarrell Miller, Adam Kownacki and perhaps Dereck Chisora, should he defeat Whyte in their December 22 rematch. Any combination of these men, whether it be with Joshua or with each other, will make for highly watchable contests – and highly watchable contests, especially at heavyweight, are a good thing. Two characters I didn’t mention in the previous paragraph were Luis Ortiz and Joe Joyce, both of whom scored impressive knockouts on the undercard and would be excellent opponents for the contenders and the top dogs. 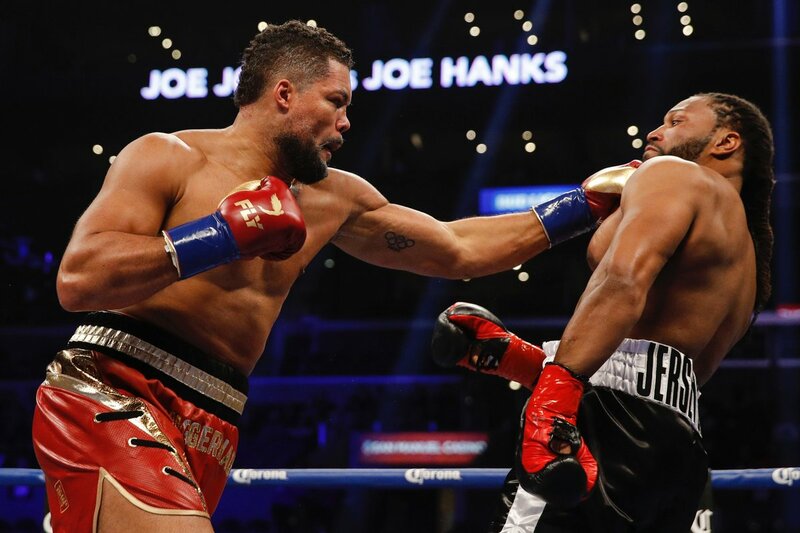 Joyce took the short route, thanks to a concussive hook to the jaw that left Joe Hanks flat on his back just 145 seconds after the opening bell, while the 39-year-old Ortiz showed both his “King Kong” side by flooring the ultra-tough Kauffman in rounds six, eight and 10 and his scientific side by spearing the Pennsylvanian with jabs and by offering viewers his Muhammad Ali impression. The numbers Joyce produced belied the explosive ending because he threw and landed more jabs than power punches (34 jabs and 23 power punches thrown; 10 jabs and seven power punches landed) and the percentage gaps favoring Joyce weren’t as dramatic as one might have thought (30%-23% overall, 29%-18% jabs, 30%-29% power). As for Ortiz, he also produced a jab-heavy offense (376 of 575 attempts, or 65.4% of his total output; and 66 of his 135 total connects, or 48.9%), while limiting Kauffman to 22.2 punches per round, 37 total connects, 30 landed power shots and just seven landed jabs in 10 full rounds. 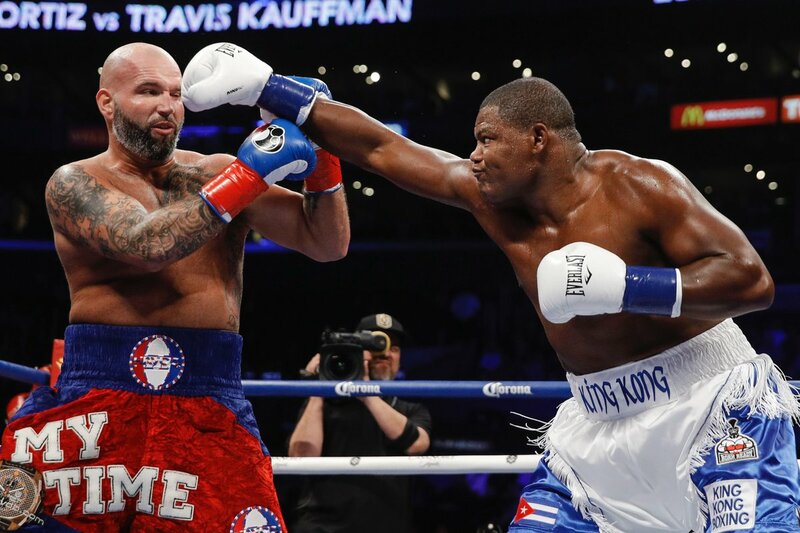 Kauffman landed no more than five total punches in a given round (rounds five, seven, eight, nine and 10), while Ortiz produced double-digit connects in rounds 3-10 and topped off at 20 in the sixth, his first knockdown round. Neither man was especially accurate, as Ortiz led 24%-17% overall, 18%-7% jabs and 35%-24% power, but Ortiz showed excellent mobility, good if not overwhelming power and terrific conditioning, as he accelerated his pace from 50.8 in rounds 1-5 to 64.2 in rounds 6-10. Are Joyce and Ortiz good enough to trouble those atop the food chain? Ortiz already proved his worthiness against Wilder in March (a fight I counted from ringside) and Joyce, who turned 33 last month, is on the fast track to discover that answer sooner rather than later. “The Juggernaut” is a solidly built 262-pounder whose approach, to me, is a meld between the two versions of George Foreman we know so well – Young George’s thirst to score knockouts and Old George’s willingness to be methodical in that pursuit. 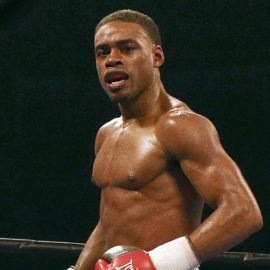 So far, Joyce has produced Foreman-like results – seven fights, seven wins, seven knockouts and five stoppages within two rounds. As Dennis and I packed our equipment, the fighters involved in the first walkout bout were preparing to get to work. Unusually this post-telecast contest was for the vacant IBF strawweight belt and, in the end, U.S.-based Mexican Carlos Lincona captured the title via split decision over Filipino Mark Anthony Barriga to raise his record to 14-0 (with 2 knockouts) while dropping Barriga’s to 9-1 (with 1 KO). After that, three-time heavyweight title challenger Chris Arreola returned to the ring after a 28 1/2-month break and induced a sixth-round corner retirement from Maurenzo Smith. It is worth noting that the 37-year-old Arreola scaled a relatively trim 245 pounds, one-and-a-half pounds lighter than he scaled for his July 2016 challenge of Wilder. While this was going on, I had acquired a food box and a can of diet soda to take back to my room, after which I entered the night’s data into the master database. Given the evening’s excitement, it wasn’t until nearly 1 a.m. local time (or 4 a.m. body clock time) before I tried to fall asleep. Sunday, December 2: I stuffed plenty of rest into the next five hours and I invested the first couple of awake hours getting ready for the day, answering emails and assembling the framework for the article you’re reading now. At 8:10 a.m. I began packing my belongings and by 8:20, I had checked out of the room. Seeing no taxis in the immediate vicinity, I approached a hotel employee to ask why. She suggested that instead of waiting for a cab to arrive here, I could walk to a hotel across the street where taxis are always present. Being a prudent sort, I chose option two. As I began my walk, the wind kicked up violently and blew trash across the highway. The gusts were so strong that they nearly knocked me off balance but I managed to get to my destination before any real trouble began. As is my custom, I struck up a conversation with my cabbie, whom, I found out was from Ethiopia. Being a big track-and-field fan, I brought up the names Abebe Bikila and Haile Gebrselassie, two of the greatest runners his nation – or any nation – ever produced and he was old enough to remember both. The resulting conversation made the trip seem much quicker than it was and by the time I unloaded my belongings, we were exchanging smiles and well wishes. My trip through security was flawless and because I arrived more than three hours before my scheduled departure, I opted to enjoy a leisurely breakfast (which, to me, was really lunchtime, since it was shortly after noon Eastern Time). I upgraded my boarding pass from B-50 (the 110th person to board after pre-boarders) to A-2 for $40 and, thanks to a mighty push from the jet stream, the plane arrived in Pittsburgh 40 minutes ahead of schedule. Because of that, I arrived home shortly before 10:30 p.m., about a half-hour earlier than I projected at the start of the day. With that, my travels for 2018 came to a close. During that time, I worked shows in Verona, New York (twice), Sloan, Iowa (twice), Los Angeles (twice), Las Vegas (twice), New York City, Deadwood (South Dakota), San Antonio, Oxon Hill (Maryland), Frisco (Texas), Detroit, Shawnee (Oklahoma), Temecula (California) and Philadelphia. My trips to and from Pittsburgh International Airport alone put 4,914 miles on my car’s odometer and many more miles in the air. But what I also got were memories – memories I have been privileged to share with you, thanks to the platform provided to me by RingTV.com and its editors. And thanks to them, I will continue to do so in 2019. Speaking of 2019, I don’t know the date or location of my next journey but someone closely attuned to the grapevine said it might be January in Louisiana. Until then, I’ll be very busy assembling research from the Home Office and doing everything I can to make the upcoming year the best it can be.